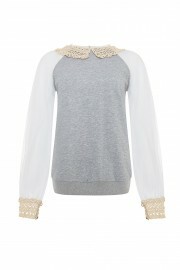 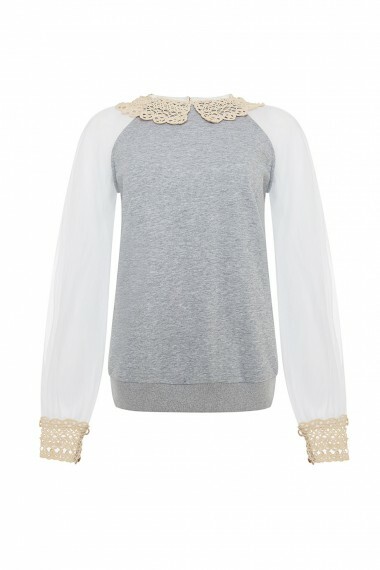 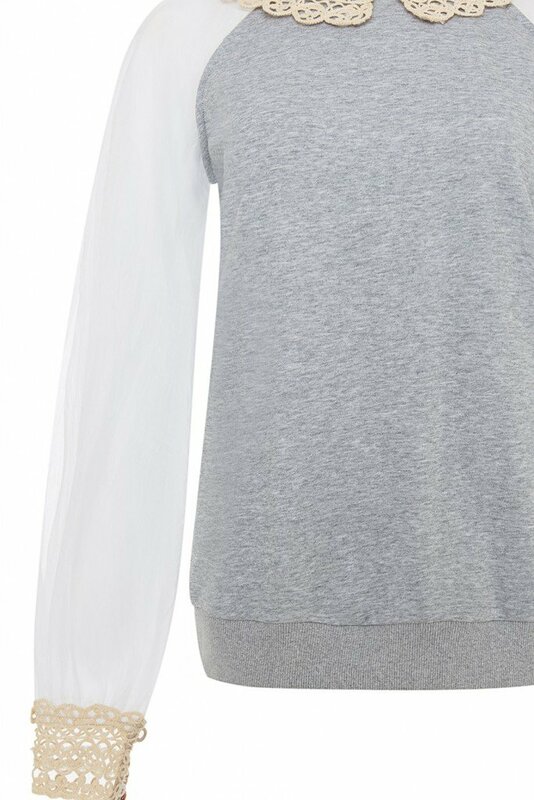 Organza and sweater jersey combo top detailed with vintage crochet lace at the collar. 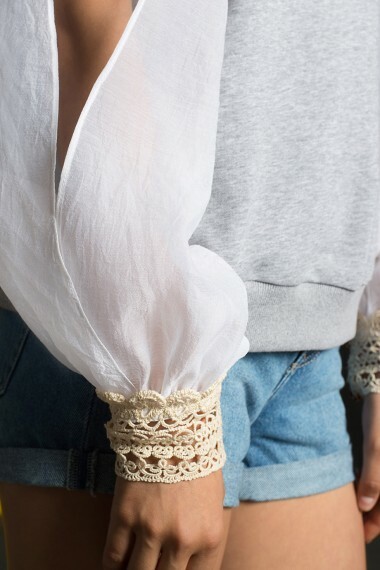 Exposed sleeves finished with soft pleats and crochet lined cuffs. Easy slip on style.